1930s pulp era action in a world fast becoming modern but where many corners are still being explored. Are you a wise cracking gumshoe, a connected dilettante, a whip cracking explorer or a street smart thug who knows how things really work? Use every skill and connection you have to ride this wild tale to its conclusion. This fast and simple game system is based on the PbtA system and is designed to be easy to play for both beginners and seasoned campaigners. Roll high or low the story is what counts. 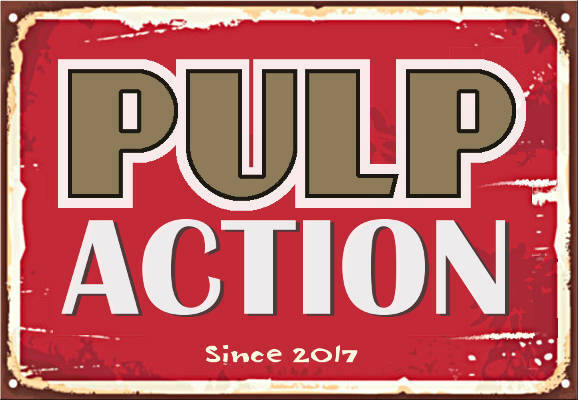 Pulp Action will run for 2 to 5 players – all comers are welcome. No experience with Fantasy Grounds or Pulp Action is required. Apparently, booking for this session doesn’t work although bookings are already open for FG Con. I could book other sessions for FG Con, but not this one. Was this game cancelled? Or is there a technical problem? Thanks for the heads up – booking should be available now. Sorry I can’t make the game. I’ll have to find a later game. Hi, I would like to join if possible still. I can’t sign up though, not sure if the booking has ended? Thank you. Interested. Looks like a couple openings still. Will check in on discord 10 minutes before start. Awesome – see you then! Thanks! Damned, That was an awesome game last night! Saving the world from Hitler! Woo-hoo! Thank you!